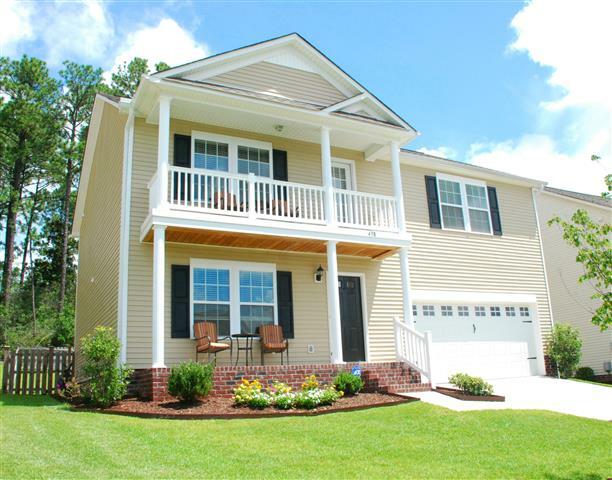 There is a new listing in the Lake Frances Subdivision of West Columbia SC! The home is located at 458 Laurel Mist Lane. Do not be fooled by the West Columbia address of this home as it is located very close to the Lexington area and it is zoned for Lexington School District One school! (Currently children in this neighborhood attend Saxe Gotha Elementary, White Knoll Middle and White Knoll High School.) 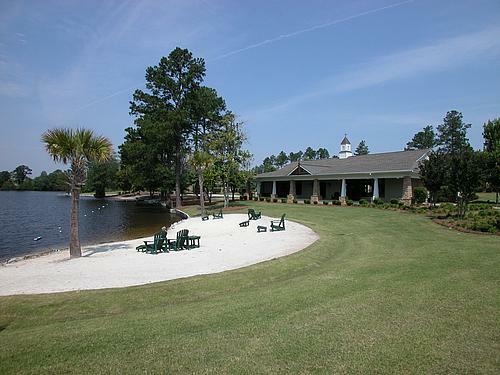 The Lake Frances subdivision is well known in the area for the amenities that it offers! Lake Frances is backed up to a small lake to which the residents have access to fish and enjoy in small boats. It also has a gorgeous clubhouse, a zero-entry pool and nice cabana, a playground for children and a volleyball court! 458 Laurel Mist Lane is a two-story home with a great layout..making it feel much larger than 2186 square feet. The living space downstairs flows from a large great room with hardwood floors, crown molding and chair rail into a large kitchen with granite countertops, a large island/bar, all stainless steel appliances, a pantry, hardwood floors and a large eat-in area! There is a half-bathroom downstairs for guests to use and a second living area! This second living area is the only downstair area with carpet and makes a perfect family room, play room, office space, etc! Upstairs, this home offers 4 really nicely sized bedrooms! The master bedroom has a walk-in closet for him and for her and a private balcony. The master bathroom has a granite vanity with double sinks, a garden tub and a separate shower. The hall bathroom upstairs also has granite countertops! Last, but not least, upstairs is a huge walk-in laundry room! There is plenty of room for sorting, folding and even an ironing board! 458 Laurel Mist Lane in Lake Frances is only 3 years old! The homeowners have the hvac routinely maintenenced every 6 months and have a transferrable termite bond. The home is freshly painted, immaculate and all lighting fixtures have been updated from the original builder fixtures. Currently this home is eligible for the USDA Rural Housing 100% loan (double check with your lender and purchaser must also qualify). This home and neighborhood are so conveniently located to Downtown Columbia (about 15 min), Lake Murray (about 25 min), I-26, I-77, I-20. Close shopping for groceries and more can be found in the Three Fountains area and the Red Bank area as it is located between the West Columbia and Lexington! There are not many homes of this quality, price and with the amenities the neigborhood has to offer...contact me to set an appointment to view it today!